Depending on the car conditions, there are many ways on how you can get rid of your old car. If your car is old but not broken, you might wonder how to sell your car for cash and get the most money out of it. It can seem like a very intimidating process. Luckily, there is a simple process to get cash for your car. By reading this guide, you’ll learn the ins and outs of the process. The first step to getting cash for old cars is to know what the car's worth. Many people use free websites to get started. Check with several sites to get an estimated value of your car, and compare these estimated value side by side. You should also keep in mind how long you’re willing to wait. It usually takes longer to get cash for your car if you’re offering for a higher price. Listing a car at a lower price can be your best bet for a quick deal. Where To Sell My Old Car For Cash? Look at online car sales since it's the fastest way. This is how professional car flippers answer when you ask them, “Where to sell your car for cash.” Selling online gives you access to the most buyers possible. It also allows you to get a quick non-binding quote on many cars. You can even make a meeting and get cash for your car on the very same day. The caveat is that you might get a lower price if you need a quick deal. There's also a commission to pay to the service for helping you sell. How To Get The Most Cash For Old Cars? 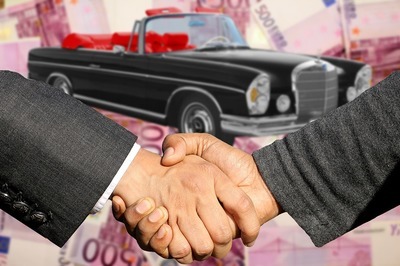 Private selling is a way to get the highest price for your car. It takes longer since you’re dealing with a smaller amount of buyers. You just have to be patient. Many recommend cleaning the car and taking very good pictures. Don't hesitate to get the car detailed by the professionals. A clean car will fetch much more cash. In fact, many people clean up dirty cars and flip them at a profit. You should list one or two minor faults with the car too. It’ll come off as more genuine. Keep the description of the car simple and relevant. Some people use auction sites like eBay to unload their vehicle. eBay has a nice auction reserve feature to make sure you get your minimum price. This method can take a bit longer, so be patient. Be very thorough in your descriptions and pictures. Another fast option is the good old car dealership. This method often is the quickest way, but yields the lowest price. Expect them to throw a low price at you. They are trying to make a profit since they have overhead expenses. Don’t underestimate real-world auctions. It helps to have a car that is in demand. You’ll need the right type of buyers to be there to bid on the car. 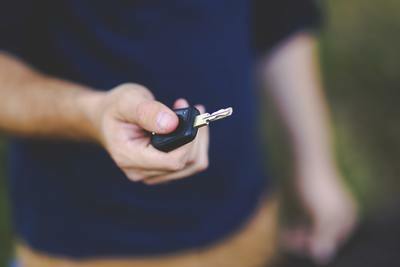 There are a few key details to check before you sell your vehicle. Make sure you have the car’s title and registration. You will need to give these over and let them sign off to finalize the deal. Also, financing can be a problem. If your car’s financing isn’t paid off, you'll run into trouble. Pay off the lender to work things out with them. Then, you’ll get the title back from them. Make sure the car is inspected. many buyers avoid a car that is unlikely to pass inspection. A valid inspection sticker can add thousands of dollars to the value of your car. You’ll also want to have the service records handy. This proves you’ve taken care of the car. It will help you fetch a higher price for the car since buyers want to know what they’re getting into. Take care of the car’s legal details. You need to remove your registration sticker and license plates. The buyer will get their own. Your vehicle’s registration needs to be transferred into the new owner’s name. Both the seller and buyer need to complete the form. As a seller, you’ll have to keep the seller's section of the transfer form in a safe place. This proves that you are no longer in possession of the vehicle, in case something bad happens to be related to that vehicle later. See More: Department of Transport and Main Roads > Registration Transfer. If the buyer insists on a check, request to make the deal at their personal bank. This allows you to cash the check and close the deal. It's safer too since you're in a bank with cameras and witnesses. You can’t count a deal until you’ve closed it and walked away with cash. Now, you know the basics of selling an old car for cash.